Amy Rogers, MHA, FACHE, has joined the College as director of Business Development, a position recently created by the College to grow, expand and extend the footprint of its clinical enterprise. 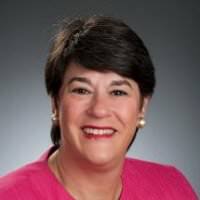 Rogers comes to the College from Nemours, the largest pediatric practice in the United States, where she served for nine years as associate administrator. In that role, Rogers managed and coordinated all hospital ancillaries and social services at A.I. DuPont Hospital for Children in Wilmington, Del. Although the Nemours system boasts more than $1.25 billion in patient revenue, 4,000 employees and physician practices in five states, A.I DuPont Hospital for Children is the only hospital in the system. Rogers’ strategic leadership experience includes developing, implementing and assimilating organizational strategy. She is passionate about family-centered care and ensuring that patient and family satisfaction is at the forefront. Rogers received her undergraduate degree from Washington University in St. Louis, Mo., and a Master’s Degree in Hospital and Health Administration from the University of Alabama at Birmingham. As director of Business Development, Rogers will be responsible for developing strategic business plans and overseeing a best practices-based services program that strengthens the building of strategic clinical initiatives within the College. She will serve as the primary contact for business development at the College and build relationships with community physicians, particularly those in rural Alabama, to encourage and cultivate an extensive network of family physicians throughout the state. The College’s clinical enterprise includes the University’s Student Health Center and University Medical Center, a multi-specialty clinic open to University faculty and staff and the West Alabama community. Additionally, the College provides medical training for resident physicians in its Family Medicine Residency and for a portion of University of Alabama School of Medicine students in their third and fourth years of medical school.